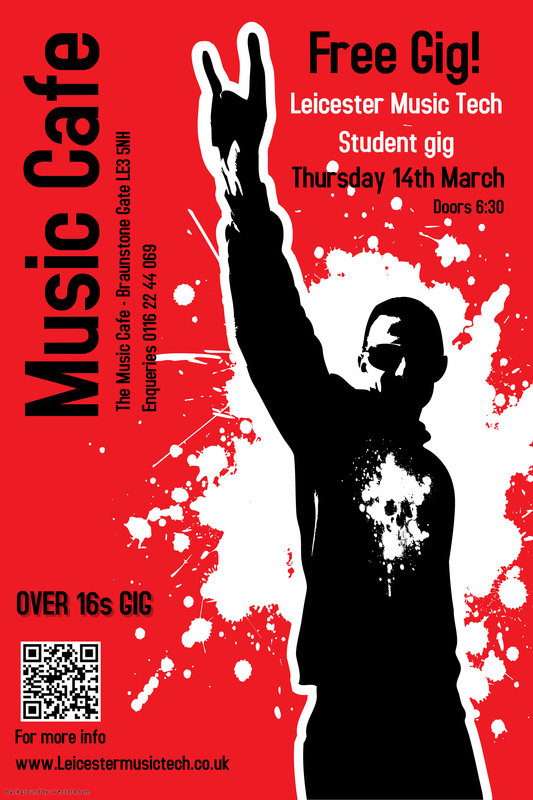 The students from my teaching gig at Leicester College music and sound department are putting on a gig at the Music Cafe on the 14th of March 2013. This is a great opportunity for learners to get a hands on experience of not only playing a live event, but also what it takes to run a successful night. Students will be performing, promoting, stage managing and running the live sound as part of this enrichment experience. Its shaping up to be great night. Doors at 6:30pm and Free entry!